This day tour is highly recommended for family groups including children, elders or groups of friends… with a reasonable itinerary and great price. 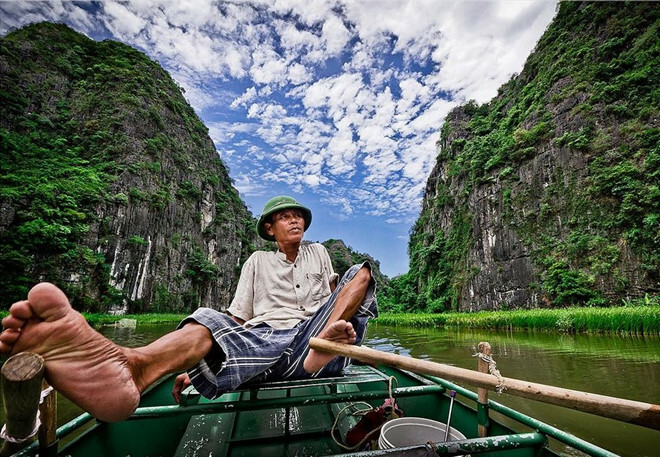 Biking around Trang An countryside area and enjoy Vietnamese tea break. 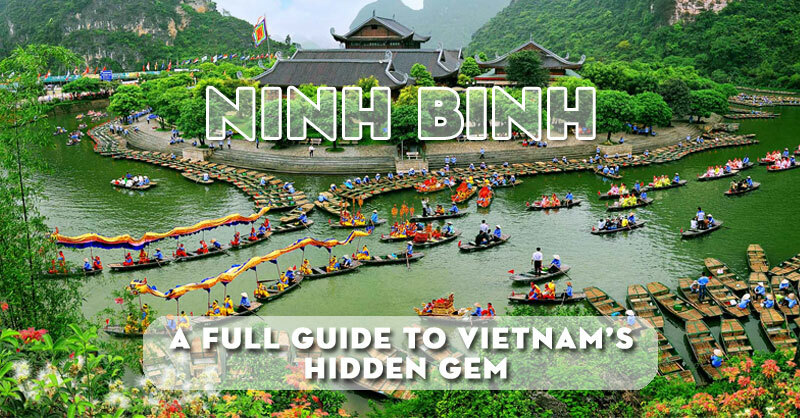 Explore and gain understanding of how Buddhism influences Vietnamese culture at Bai Dinh pagoda. 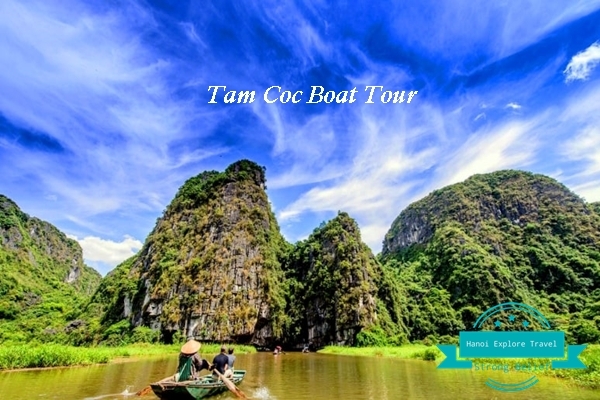 Exploring picturesque of Trang An Ecotourism Landscape by Bamboo Boat Ride and the scene of King Kong film. 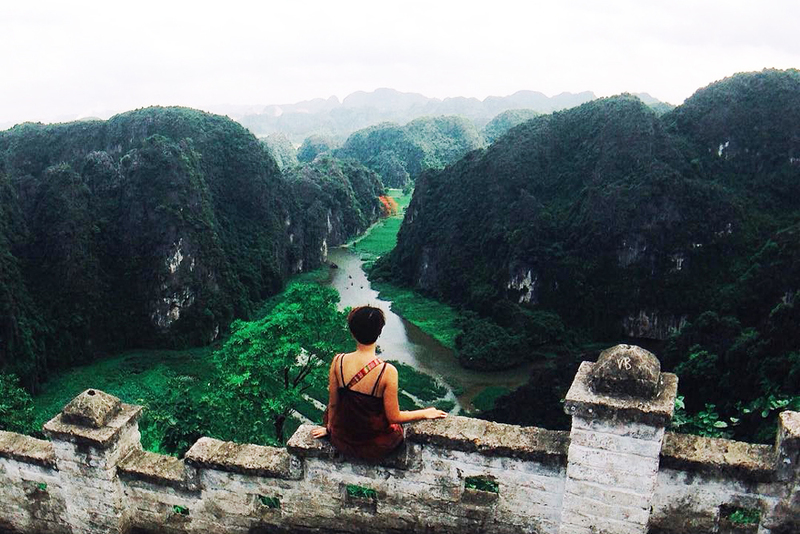 Visit Mua Cave – Climb up to the top of Mua Island to get great view to see or take pictures of Tam Coc. 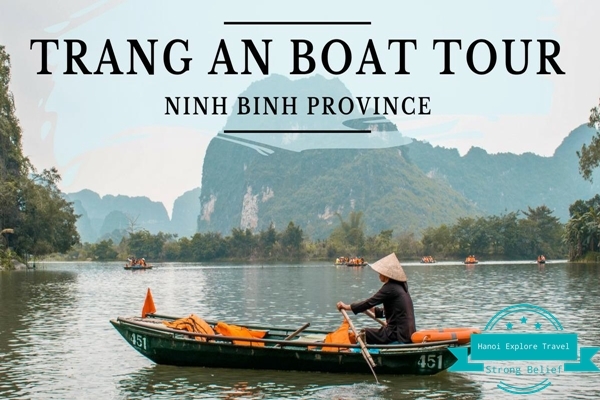 7:40-08:20 Our Luxury Car and tour guide will come to pick you up at your hotel in Hanoi Old Quarter Centel for departure to Bai Dinh pagoda. 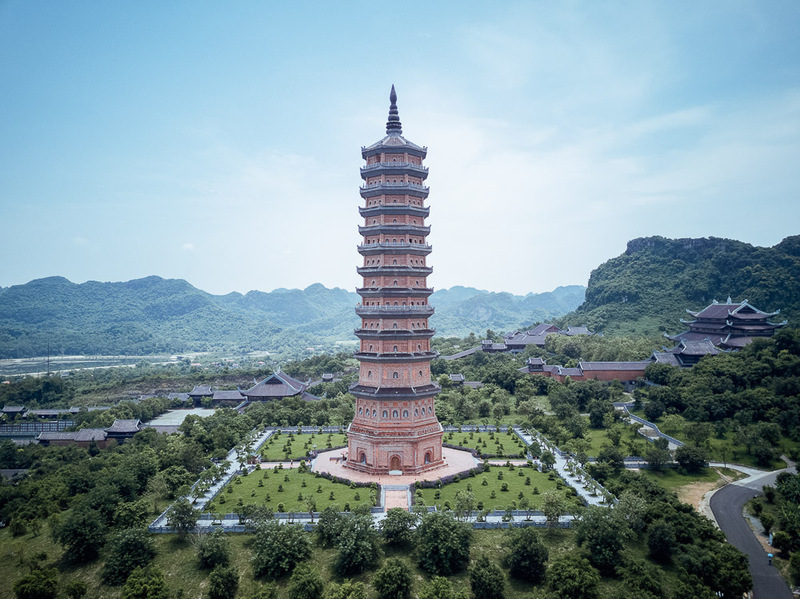 10:15-10:30 Arrive in Buddha Prayer place in Bai Dinh pagoda, the biggest pagoda in Vietnam with 500 La Han statues, biggest bronze Buddha statue in Vietnam with 10 meters in height, 100 tons in weight. You will have free time with our tour guide to visit this pagoda and learn more about buddism religion. 11:50-12:00 Have a buffet lunch with Vietnamese cuisine. 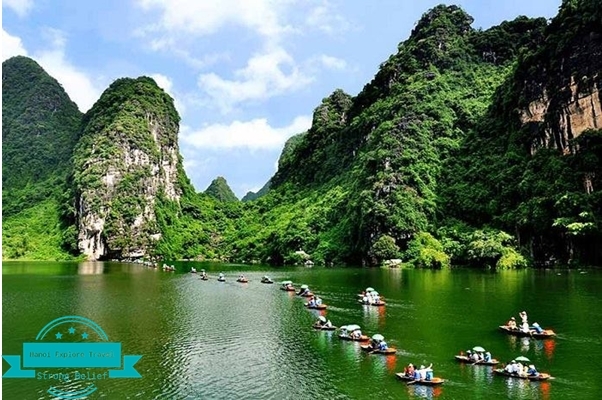 12:50-13:00 Get on the tourist bus continue going to Trang An wharf, take boat trip to visit Trang An cave complex and the scene of King Kong film. 14:50-15:00 Come back to Trang An wharf, take your bicycle to visit traditional villages around Trang An area. 15:35-15:40 Keep going to visit Mua cave. The place attracts visitors with its many interesting stories. 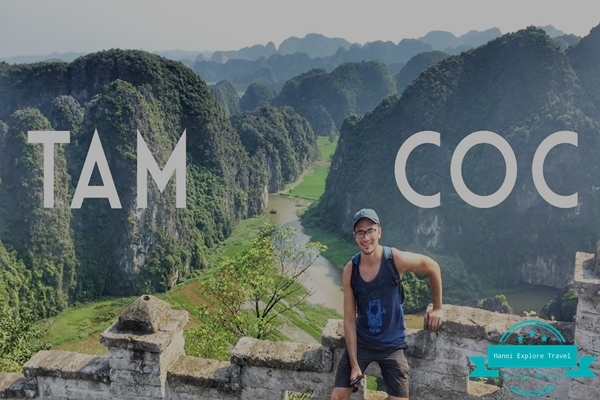 Climb 500 stone steps, here you can see all the way to Tam Coc, enjoy a stunning panoramic view of the countryside and Ngo Dong river. 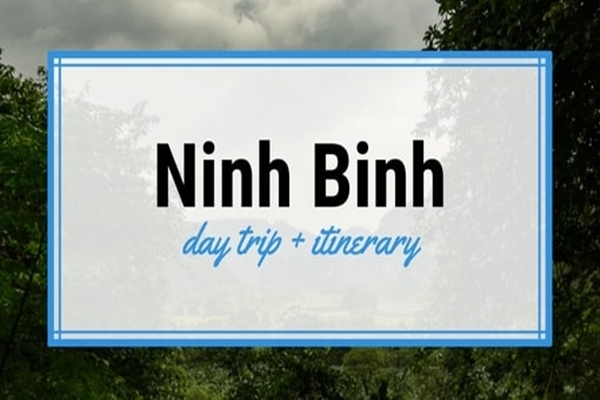 16:55-17:20 Get on our Luxury bus to comeback to Ha Noi. 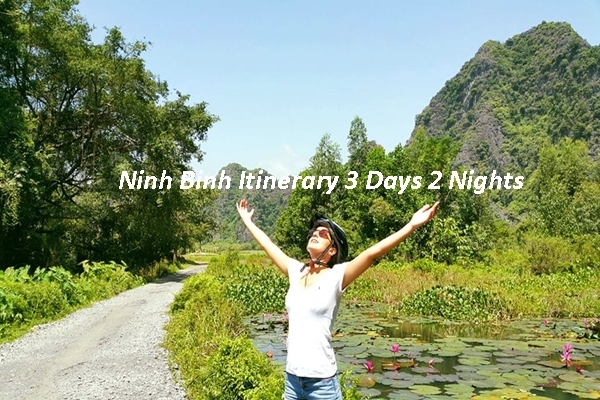 19:00-19:30 Arrive Ha Noi, drop off at your hotel in Ha Noi Old Quarter. Say Good Bye! Tour End! 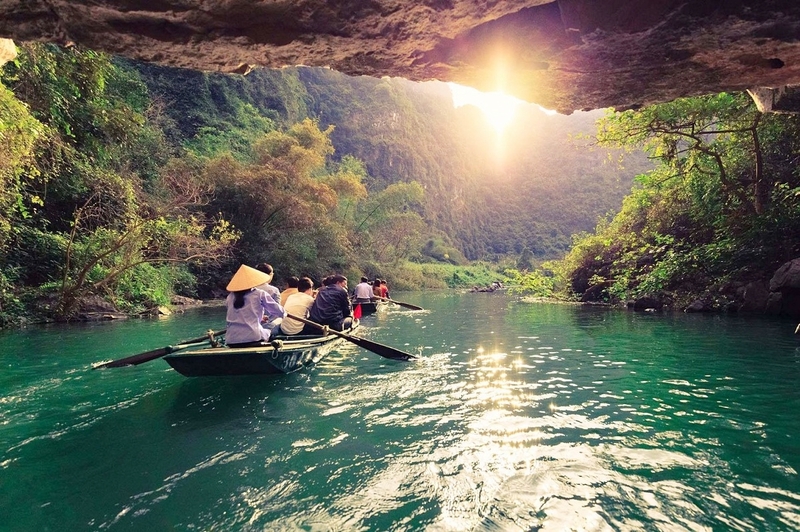 Boat trip to visit Trang An Grottoes and the scene of King Kong film. All Entrance fees as per the mentioned itinerary.